Madison Coupon Connection: Earthbound Farm Organic Salad $1.00 OFF Coupon! 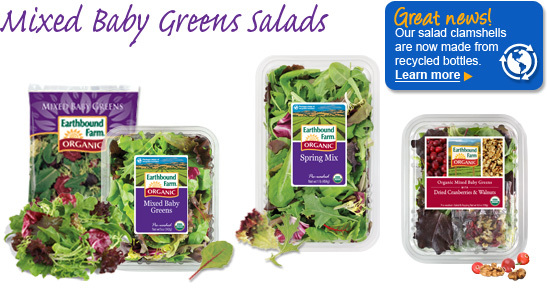 Great Coupon for $1.00 off ANY Earthbound Farm Organic Salad (Expires 05-31-11)! To get this coupon, just click on the link below and fill out a short form with your e-mail address and zip code. You can print this coupon twice.